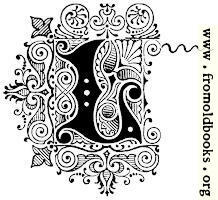 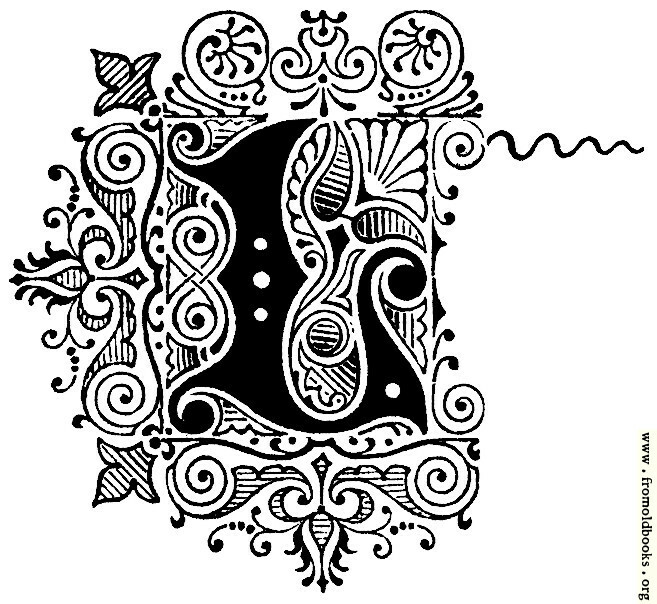 This capital L was used as a decorative initial (dropped capital) at the start of a chapter. 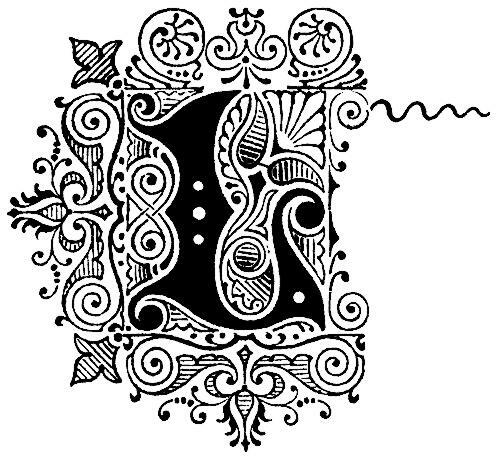 The mix of geometric patterns and stylized vines is very vharacteristic of the period; the wiggly line sticking out to the right of the initial seems very Spanish and exuberant, although i’d probably remove it for actual use. In the book, the initials is set to the baseline of the L approximately lines up with the baseline of the first line of text, making it a raised initial.